Dystar, the US subsidiary of Dystar Global Holdings, announced that it has entered into an agreement to acquire five specialty chemical units (the Specialties, Polymer Additives, and Nitriles business groups) of Emerald Performance Materials. Singapore – Emerald Performance Materials is a US company and manufacturer and marketer of specialty chemicals for consumer and industrial markets. In a separate transaction, Dystar LP will sell the Polymer Additives and Nitriles businesses to Jiangsu Sinorgchem Technology, a subsidiary of Sinochem Group, a state-owned Chinese company with core businesses in the energy, agriculture, chemicals, real estate and financial service. Upon completion of the dual transactions, Dystar LP will retain the specialties businesses, which adds three new manufacturing sites to the company's US business platform. 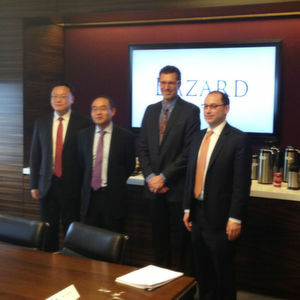 “This high quality acquisition will significantly strengthen our position in the chemical industry and we are uniquely positioned to take advantage of the new revenue growth and synergy opportunities,” said Ruan Weixiang, the Chairman of Dystar group. “We are confident that the business will be a good opportunity for us to grow in future.” The acquisition adds a broad product portfolio that services many multi-national consumer goods brands to Dystar’s global product line which services multi-national retail brands.